100% Export Oriented Unit of a wide range of products which include methyl 3-amino crotonate, 4-amino 1,2,4 triazole and 1h-1,2,4 triazole. We are engaged in supply of Methyl 3-Aminocrotonate (MAC) for API that are widely used in various medical and pharmaceutical industries. 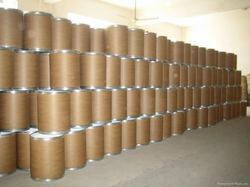 These chemicals are procured from reliable vendors of the industry, ensuring durability at customer end. Moreover, our entire range is widely appreciated for its pure quality and can be availed from us at market leading prices. 4-Amino 1,2,4 Triazole.This product is processed using high grade chemical compounds with the help of modern technology. This product is duly examined on various measures of quality to ensure its quality by our quality controllers in adherence to set industry standards. We offer 1H-1,2,4-Triazole that is widely demanded in the market for its usability in pharmaceutical industry. Below mentioned are some of the features of our 1H-1,2,4-Triazole that reflects the genuineness. Application : It is intermediate of FLUCONAZOLE which is Anti Fungal drug.